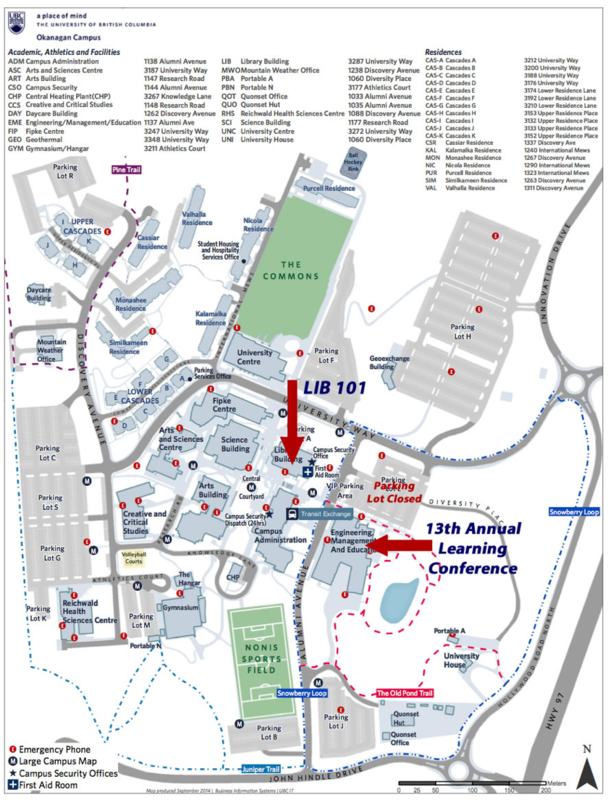 RESERVE: For reservations, call 1-855-900-5505 and ask for the “UBCO Teaching & Learning Conference” group block rate. SHUTTLE: The hotel provides a complementary shuttle service (that seats 8) which runs from the airport to the hotel and also to UBCO. CUTOFF DATE: Rooms will be held under the Group Block rate until: Friday, April 13, 2018. Visitors to campus may park in parking areas with either metered visitor stalls or day pass dispenser lots.